Volunteers can travel abroad and get discount adventures and cheap hostels in the destinations like Tanzania. 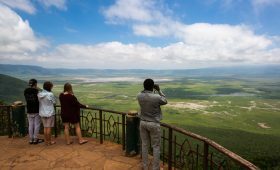 Abroad travel programs include adventure travel deals, budget travel deals,budget Tanzania safaris,Gap year travel deals,budget Kilimanjaro trekking expeditions, budget camping safaris, booking safaris travel tips, hotel reservations, Arusha free city maps, free travel places, hotels information in Arusha and cheap beach resorts Zanzibar. 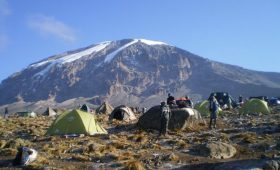 Gap Year travel programs can get budget travel deals such as Climbing Mount Kilimanjaro trips, backpackers discount tours,Tanzania safari itineraries,Kilimanjaro routes travel tips favorite choices, Machame route, Rongai route Kilimanjaro trekking trip, Lemosho route responsible travel and Northern circuit ecotourist hotspot. Volunteering is generally considered devoted activity, and its goals are to promote good or improve human quality of life. Volunteers serve the society through own interest like to increase personal skills or learning, which in return produces a feeling of self-worth and respect, instead of money. Mostly Volunteering is famous for skill development, to socialize and to have fun. It is also intended to make contacts for possible employment or for a variety of other reasons. Volunteer’s example does voluntary activities on education, environmental conservation and health sectors. Mount Kilimanjaro conservation, Nurses, doctors and international teachers visit Tanzania every year for contract of 6 months or more. Fundraising can be done through participating on climbing Mount Kilimanjaro expeditions or wildlife safari tours in Tanzania national parks. Tanzania is one of developing countries in Africa. Africa south Sahara have group of countries in their developing stages. It refers to volunteering in needy communities in developing nations. Most of the volunteers from developed countries choose the third world and Tanzania being one of them. The volunteering destinations have advantages of tourist destinations and mostly world heritage sites, 7 natural wonders, game parks and mountain climbing activities can be done as outdoor travel and adventure. Volunteers spend their time working in resource poor schools, teaching, working in orphanages and so on. Nowadays, volunteering has also been termed as an International Community service. 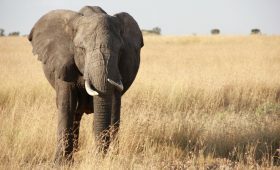 Tanzania is a country in east Africa with advantage of having unique natural attractions like Serengeti national park, Mount Kilimanjaro, Zanzibar island beach, Ngorongoro conservation area and Selous game reserve. Volunteer programs include Education teachers, health centres nurses,community development, environment conservation, wildlife conservation and culture research. Mount Kilimanjaro conservation is important to restore greenish and level of plants perspiration in order for the atmosphere to get enough moisture to maintain Kilimanjaro glaciers and snow. Kilimanjaro snow and glaciers is melting and disappearing due to global warming. Global warming is a result of air pollution. Volunteers conduct diverse of activities including environmental monitoring, ecological restoration such as re-vegetation and weed removal, research, protecting endangered animals, and educating others about the natural environment. Volunteers provide education awareness on natural resource conservation, environmental conservation, tree planting, forestation, wildlife conservation and fund raising. Volunteer accommodation, backpackers and hostels. Accommodation mostly preferred by Volunteers is Hostels, backpackers, camps, vacation rentals, apartments, villas and studios. Volunteer accommodation should be cheap, means affordable because volunteers are not paid salary. In Tanzania tourist destinations, game parks and community areas have built accommodation rentals like hostels, backpacker lodges, camps, vacation rentals, villas, studio and apartments. Budget accommodation hotels and lodges are suitable and available in Arusha town and most outskirt villages in Arusha region. Arusha is a famous safari town in Tanzania. All adventure travel, wildlife safaris, Kilimanjaro trekking and mount meru climbing are organized from Arusha tourist town. Volunteers get budget travel packages, cheap Tanzania safaris, budget camping safaris, cheap vacation rentals and all social services nearby like night clubs. Night clubs include masai camp, colobus club, Triple A nightclub and more.